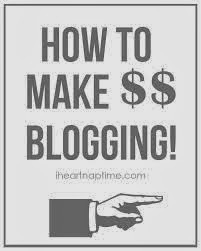 Your blog’s traffic contributes directly to the profit you can make from CPM ads. As the traffic and audience of your business’s blog increase, you can begin to add CPM advertising to your monetization plan. Cost-per-click advertising — where you’re paid for every reader who clicks on an ad you display — is a common entry-level monetization method. In contrast, with CPM you’re paid for every thousand ad impressions shown. You need enough daily traffic to make it pay off, but with higher-paying CPM ads, it can be far more lucrative. Install the Google Analytics tracking code on your blog, if you do not already have it. Open the Google Analytics site (link in Resources) in your Web browser. If you have a Google account, sign in. Otherwise, create a new account. Click the Admin tab at the top right corner of the screen. A new page will load, showing any existing Analytics accounts you have. Click on your account link to load the Properties page. Click the “New Property” button and follow the prompts to set up your blog in Google Analytics. Click the Tracking Code tab. Scroll down to the text box at the bottom of the page, then copy the code in the text box. Navigate to your blog dashboard in a new browser window. Edit your theme’s header file. Paste the Google Analytics tracking code into the theme header file, just before the tag. Save the file. Return to the Google Analytics dashboard. Click the “Standard Reporting” tab in the orange navigation bar at the top of the screen. If you successfully installed the Google Analytics tracking code, you should see several empty reports. If you did not successfully install the code, you will see an error message indicating that Google Analytics could not find your website. Track your website traffic for several weeks to get a good sense for how many visitors read your blog each day. Research CPM ad networks that are a good fit for your blog. Some ad networks target specific niches, while others are more general. For example, the BlogHer ad network limits applicants to bloggers who are female or who have a demonstrably female audience. SayMedia targets bloggers in the new media niche. Lijit will accept blogs with any focus or audience. Search for ad networks that work with blogs within your niche and average traffic level. If you cannot find an ad network for your niche, look into general ad networks. When you have found several that seem to be a good fit, look for reviews from other bloggers. Search for the name of the ad network and “review” or “scam” to find out what other bloggers really think of the networks you are considering. Verify that the ads the network serves are appropriate for your audience. Apply for the ad network of your choice. There is usually an online form on the network’s website. If not, you may need to contact the network directly to apply. Test the network on your blog. Many ad networks run a one- or two-week test of their ads on your blog to determine if the arrangement is profitable. Your publisher representative at the ad network will be able to assist you in putting their code onto your blog. Decide where you will place CPM ads on your blog. One of the most profitable ad placements is above the fold – the portion of your blog that is immediately visible to the reader without scrolling down. Another profitable place for ads is within the content itself. Optimize your content to increase traffic. Because your ad profits are based on the number of people who view them, increased traffic means increased profits. Most blog platforms provide search-engine optimization plugins to guide you through the often complex process of optimizing individual posts. Choose one to three highly relevant keywords to describe your content, and be sure to use one of those keywords in your post title. Try to use your keywords in the body of your blog post as well, but keep it readable and interesting. Search engines use the keywords you provide to determine which search results should feature your posts. See Resources for more tips on effective SEO. the traffic and audience of your business’s blog increase, you can begin to add CPM advertising to your monetization plan. Cost-per-click advertising — where you’re paid for every reader who clicks on an ad you display — is a common entry-level monetization method. In contrast, with CPM you’re paid for every thousand ad impressions shown. You need enough daily traffic to make it pay off, but with higher-paying CPM ads, it can be far more lucrative.